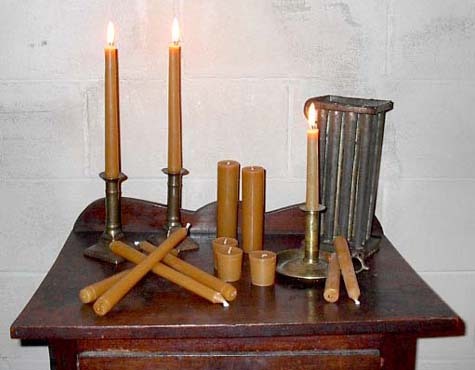 For many years I have been making pure beeswax candles using the old-fashioned tin molds. These beautiful, golden colored candles are long lasting and have a soft natural honey scent with out the need of introducing chemicals or oils which affect the clean burning properties of the beewax. As with all flame, no candle should ever be left un-attended. (This candle will burn approx. 24 hours) $6.00 ea. I also sell the hemp twine that I use for making tumplines as well as a hemp thread that is very good for sewing leather. This thread is stronger and much smoother than the linen available today, as well as being more rot resistant. The twine is much softer and smoother than that which is commonly available and I find it much easier to work with than any other I have found.